Boasting stunning sound sunsets and an open and modern interior, this finely-appointed home will take your breath away! Enter the beautiful semi-sound front home through the first floor game room fully equipped with pool table, foosball, and wet bar with full size refrigerator. Walk out onto the outside deck and patio with private swimming pool and hot tub. The first floor also has two bedrooms--one queen and one with pyramid bunk--a semi-private bath and laundry room. The mid-level has four bedrooms - two master suites (1 king, 1 queen) - plus another queen room and a room with two singles that share a hallway bath. 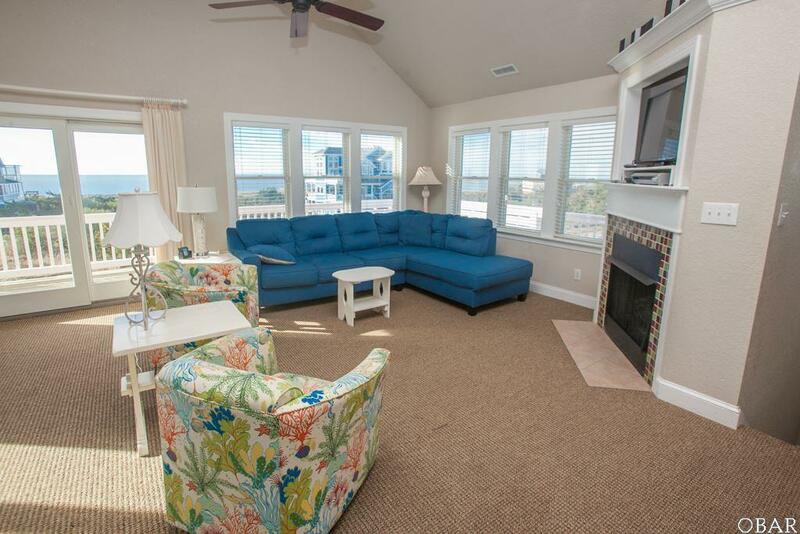 All bedrooms have TVs and access to the wrap-around porch with beautiful sound views. Upstairs you will be welcomed by the large, open great room with vaulted ceiling that offers an entertainment center and fireplace (gas supply has been removed). 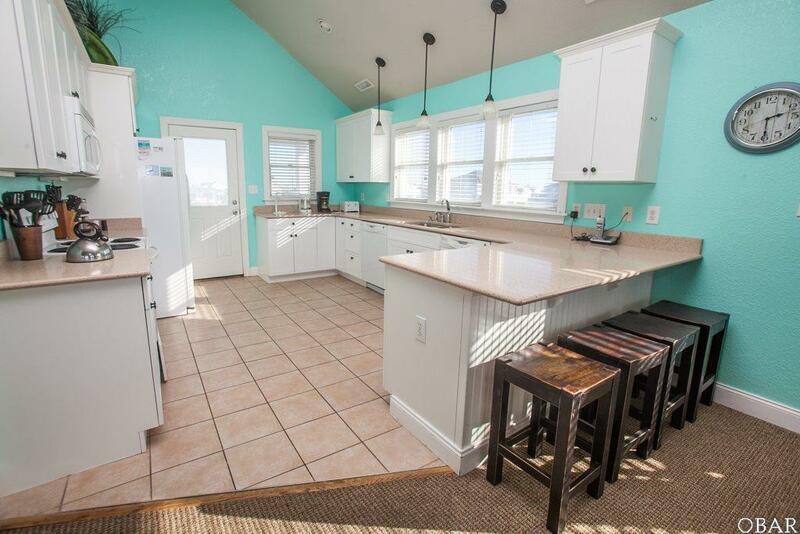 Enjoy relaxing in the comfortable seating area, feast on a family dinner at the long dining table, and gaze out the numerous windows that open to the Pamlico Sound. The great room and dining areas open to the third floor deck with outdoor benches and chairs for your relaxation. 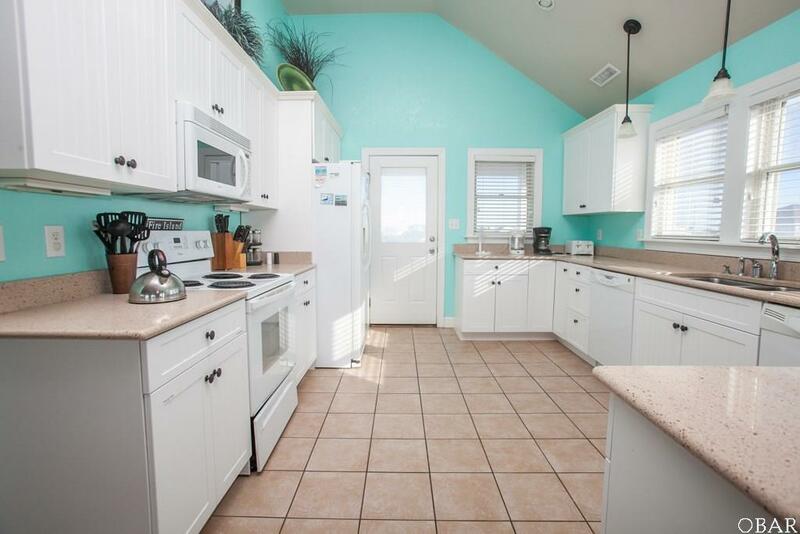 The well-equipped kitchen, complete with two dishwashers, opens to another covered porch facing the morning sun, providing a private place for your morning coffee. Another king master suite is also present on this level. 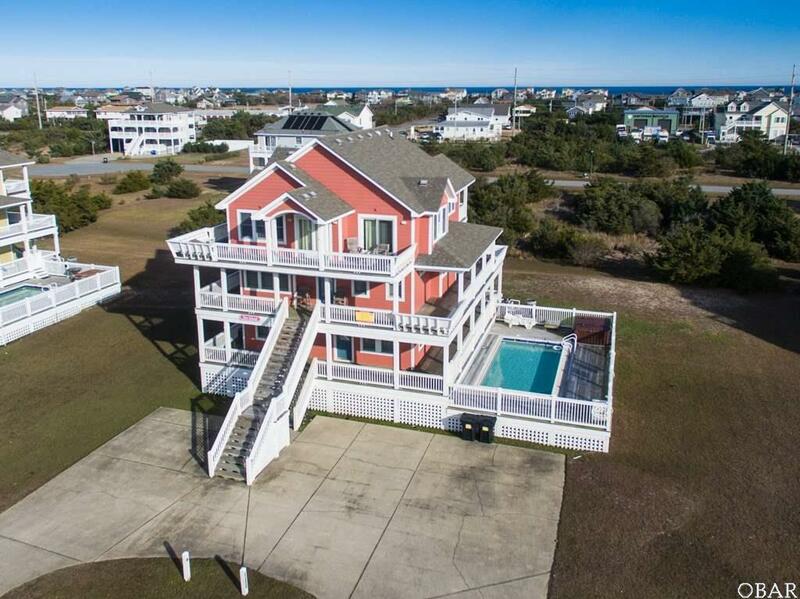 Located in the pristine Wind Over Waves subdivision, homeowners can enjoy the added amenities of a community sound access and boat ramp as well beach access.